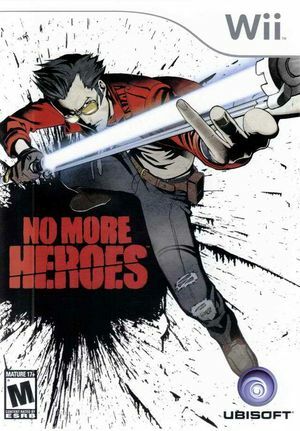 No More Heroes is the story of Travis Touchdown. He has received orders to kill a vagabond. 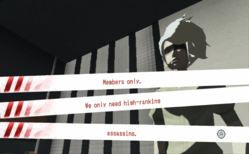 In front of him appears the handsome assassin Helter Skelter. After a fierce skirmish, Travis eliminates Skelter, upon which Silvia Christel arrives. She informs Travis that his victory was done without UAA permission, but he nonetheless becomes the 11th best assassin. And so Travis’s journey begins. 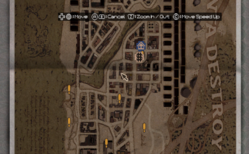 When using the OpenGL backend, some UI images may appear corrupted, such as the map screen legend in Travis' apartment and text boxes at various stores and other locations in the city. Use D3D11 to correct this. Off Enables post processing effects. The graph below charts the compatibility with No More Heroes since Dolphin's 2.0 release, listing revisions only where a compatibility change occurred. 3.0-424 Windows 7 AMD Athlon II X3 450 @ 3.2GHz AMD Radeon HD 6670 Playable. OpenGL 1x Native and AA 4x = good speed (I'm not using any speedhacks by now. Later I'll check them). Can play it with a regular Gamepad. 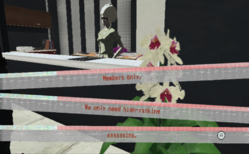 This page was last edited on 16 January 2018, at 08:13.